"Sharing the buzz for books" As a former, experienced Early Years teacher, I am passionate about fostering a love of books from birth. *Other services include: story-telling, talks to baby/toddler groups about book sharing and advice for parents on how to support early reading. 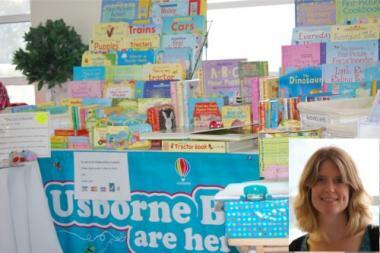 Would you like to sell Usborne children's books? As a Mentor, I enjoy welcoming and supporting new team members across the UK. **Please get in touch to find out more. I very much look forward to hearing from you.